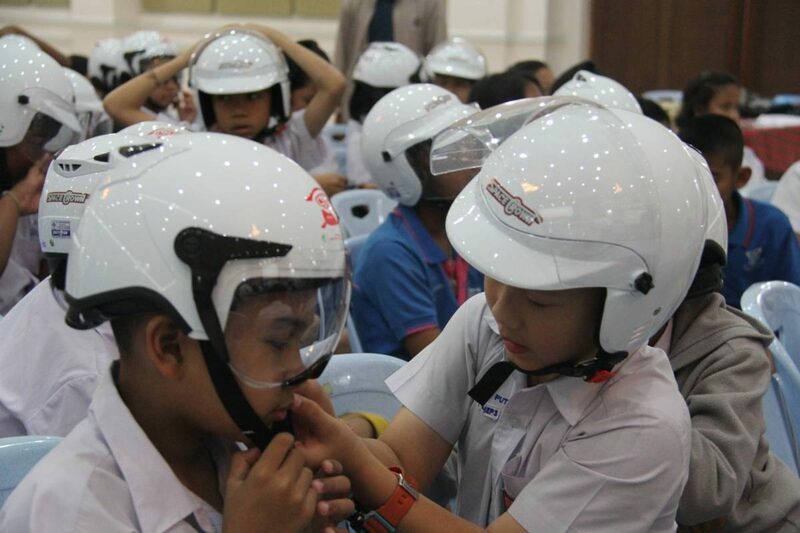 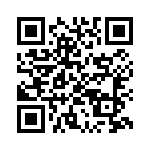 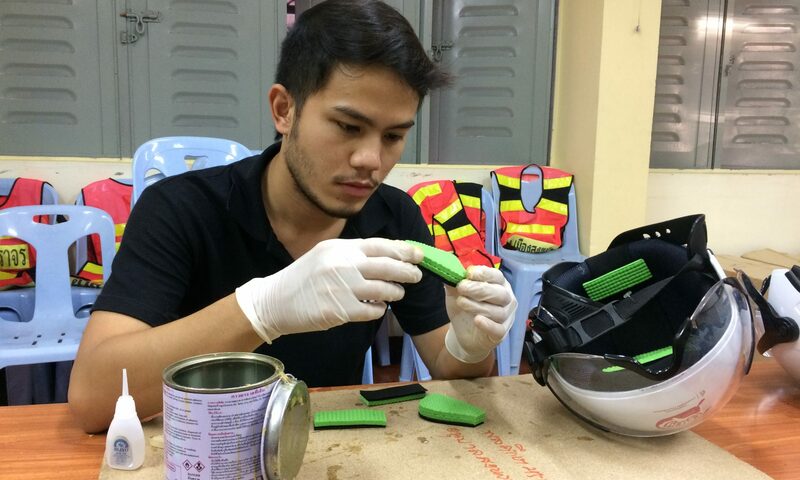 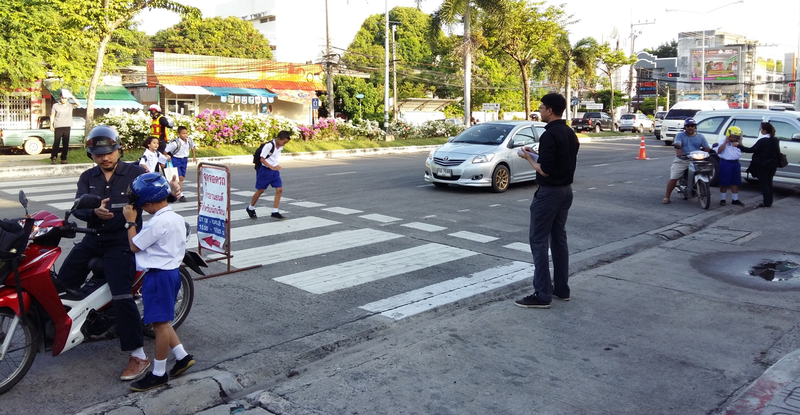 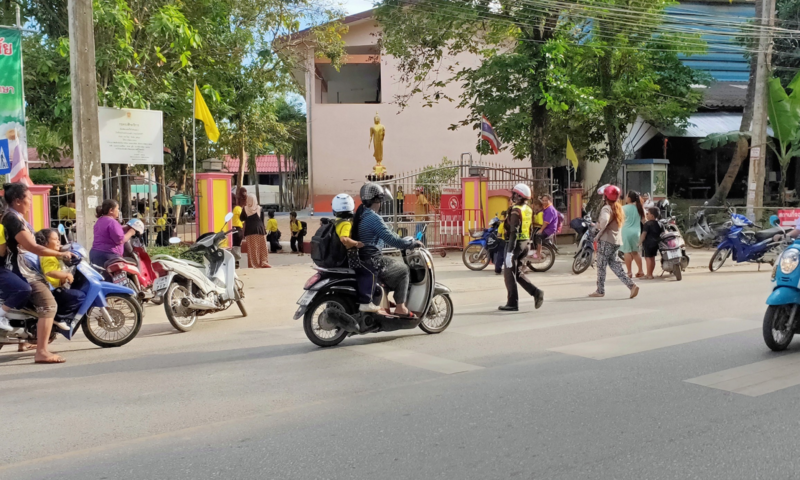 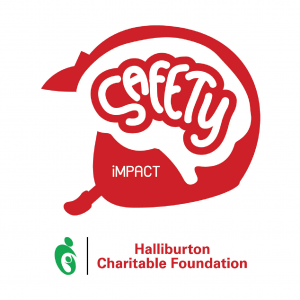 January 14-15, 2019 – – Child Safety Promotion and Injury Prevention Research Center (CSIP) had surveyed the number of wearing helmet among 451 students (after recieving a helmet which supporting from Halliburton) at 8 schools in Songkhla, namely, Sriwichai school, Baan Kwuan Niang school, Wat Pa-o school, Wat Klang school, Wat Noen Pichai school, Baan Daan school, Baan Na Kuan Lung school, and Baan Klong-wa school. 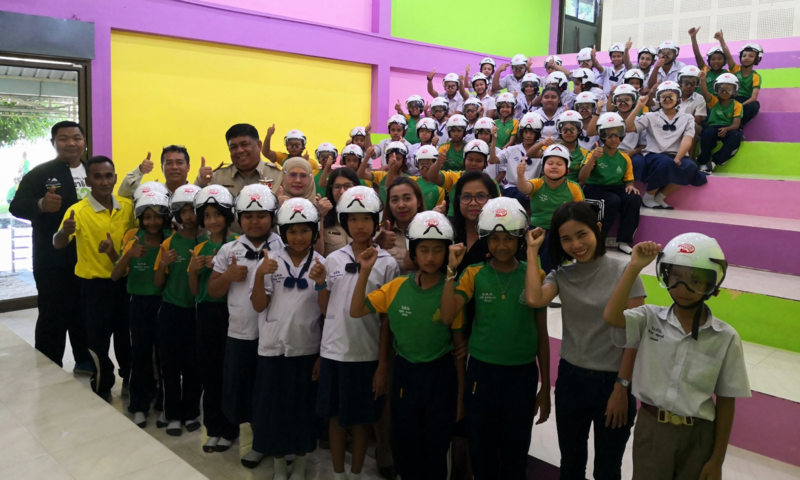 26-30 November, 2018 – – Child Safety Promotion and Injury Prevention Research Center (CSIP), Faculty of Medicine, Ramathibodi Hospital, with the cooperation of Halliburton Charitable Foundation, the main sponsor of the project, together with Office of Songkhla Primary Education Area Zone 1 & 2, including the network partners in Songkhla province, launched the project “Helmet Grant” to 451 students from 8 schools in Songkhla, namely, Sriwichai school, Baan Kwuan Niang school, Wat Pa-o school, Wat Klang school, Wat Noen Pichai school, Baan Daan school, Baan Na Kuan Lung school, and Baan Klong-wa school. 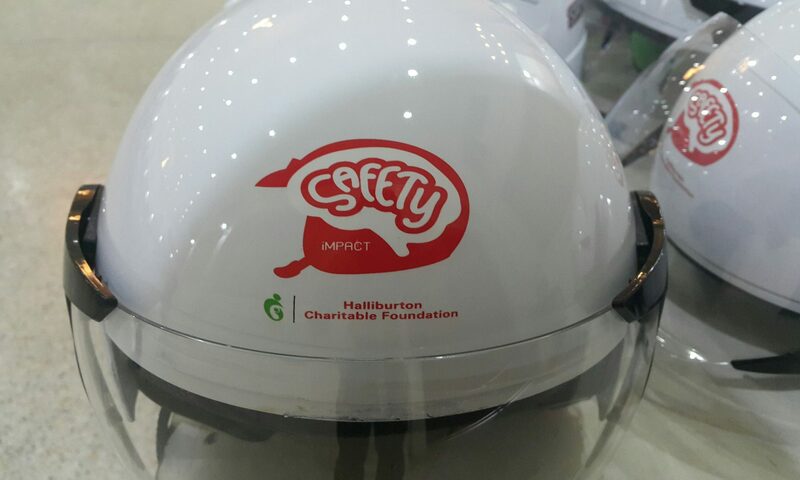 The project aims to increase number of students using helmet when riding in order to reduce number of injury and death related to motorcycling accident. 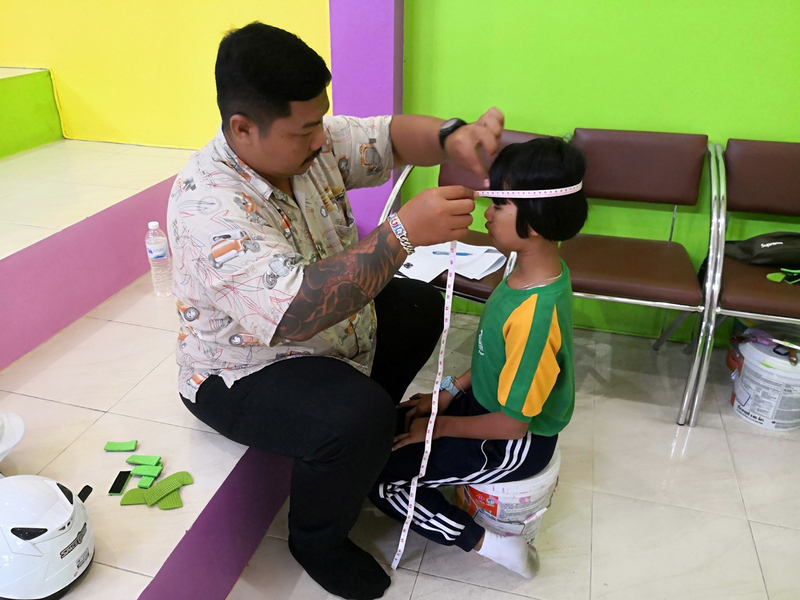 During 20-24 ,August 2018 at the meeting room of the Songkhla Primary Education Office Area Zone 2, Child Safety Promotion and Injury Prevention Research Center (CSIP), Faculty of Medicine, Ramathibodi Hospital, with the cooperation of Halliburton Charitable Foundation, together with Office of Songkhla Primary Education Area Zone 1 and Zone 2, called for a meeting on “C & H Anti-Knock: Child Brain Safety (phase II)” project.